Casio Privia PX 860 Review: Does It Really Worth Your Money? 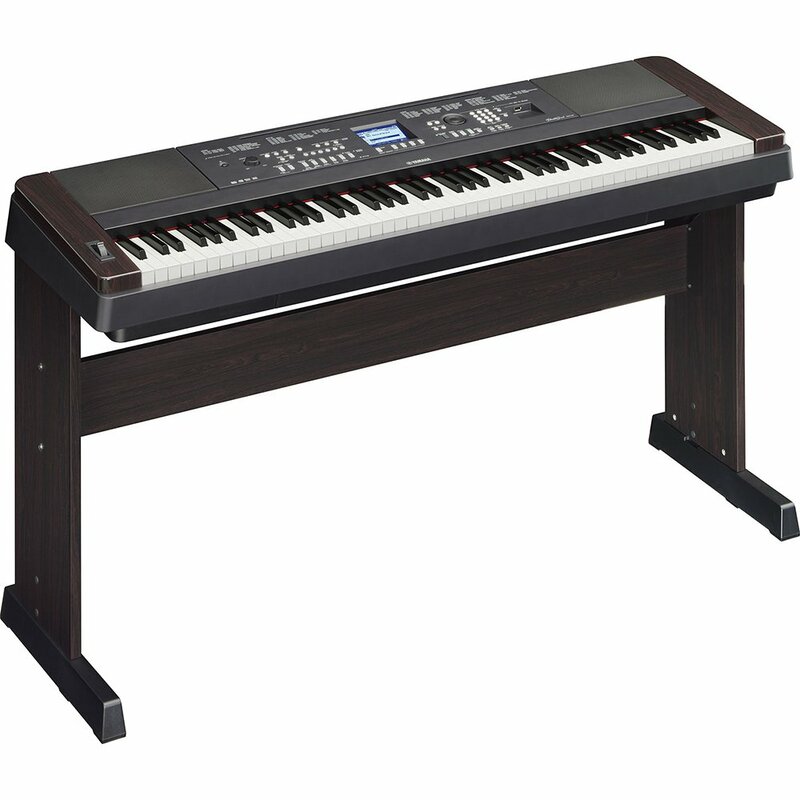 If you are looking for a piano for home entertainment, let’s explore this one, Casio PX 860. It is PRIVIA's famous model that employs Air technology to significantly improve the sound quality without taking up much space in your house. You can see how it can turn your living room into a fantastic concert hall. But when you are still not sure whether this instrument is suitable for your demand, taste and music style, please take a look at our review of Casio PX 860. We will provide the full product information and necessary comparisons with similar products on the market. Is Casio PX 860 A Right Choice For You? 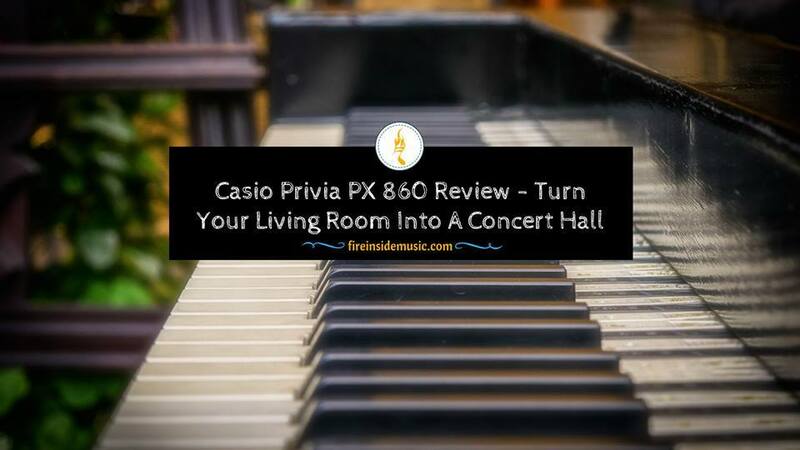 We will walk you through the whole process, but first, dig a little deeper of this product to know which features are outstanding of the Casio Privia PX 860 manual. The strings resonator producing rich, deep sound with 88 keys providing wonderful feel of Ebony and Ivory, just fit perfectly with the tip of your finger for easy playing. The new integrated Tri-sensor Scaled Hammer Action Keyboard II system emulates the keystroke to reproduce the shades that come with naturally releasing keys. Multi-dimensional Morphing AiR sound source. The function of “Concert-Play” simulates the effect of 5 famous concert hall in the world. 10 LIVE background music to help you perform in the form of Concerto. 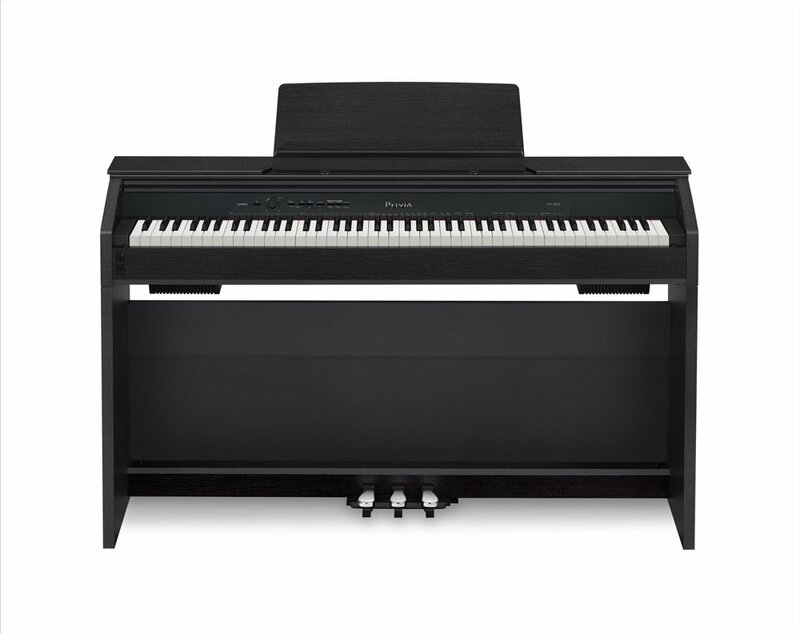 USB connectivity, Wav file recording, and playback, automatic vocal accompaniment for piano players to accommodate any of their favorite voices. Casio PX 860 dimensions are 58 x 15 x 16 inches. Warranty of up to 3 years from the manufacturer. 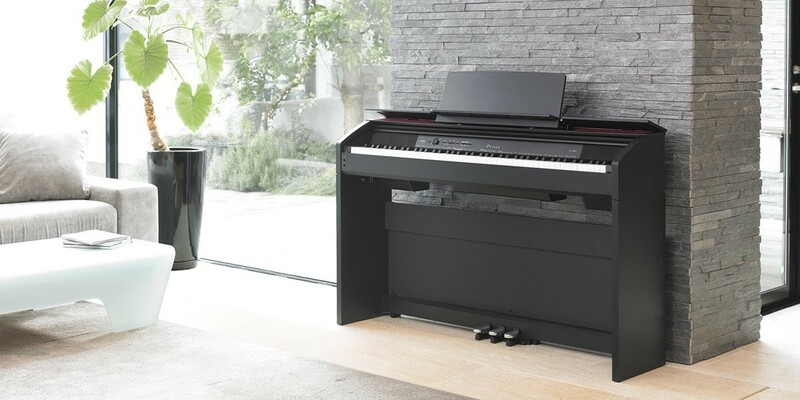 The Casio PX 860 digital piano is not only highly appreciated by novice people as a high-quality product,, but it also gets the compliment from the piano perennial and professional players who have exposed to a variety of different pianos. 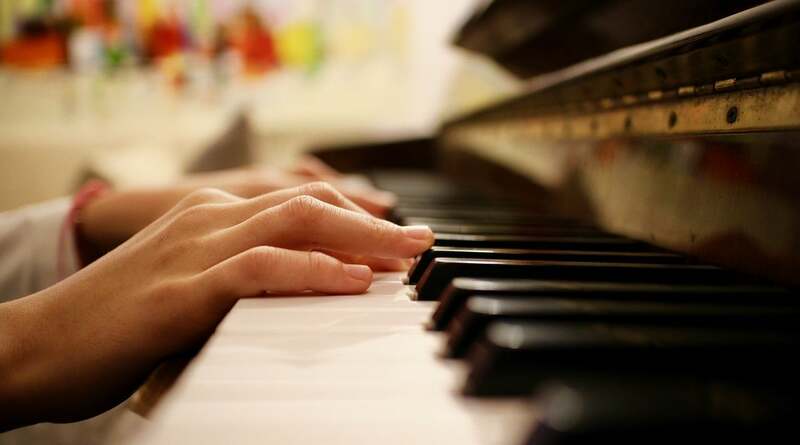 Moreover, with years of experience playing the piano, we are confident that this instrument will be an excellent solution for beginners to learn the piano. The Casio PX-850 is renowned for its impressive sound quality, which is sure to make the new PX 860 even more powerful. Right after you sit down behind this black digital piano and hit the first note, you may feel as if you were playing an old wooden keyboard. 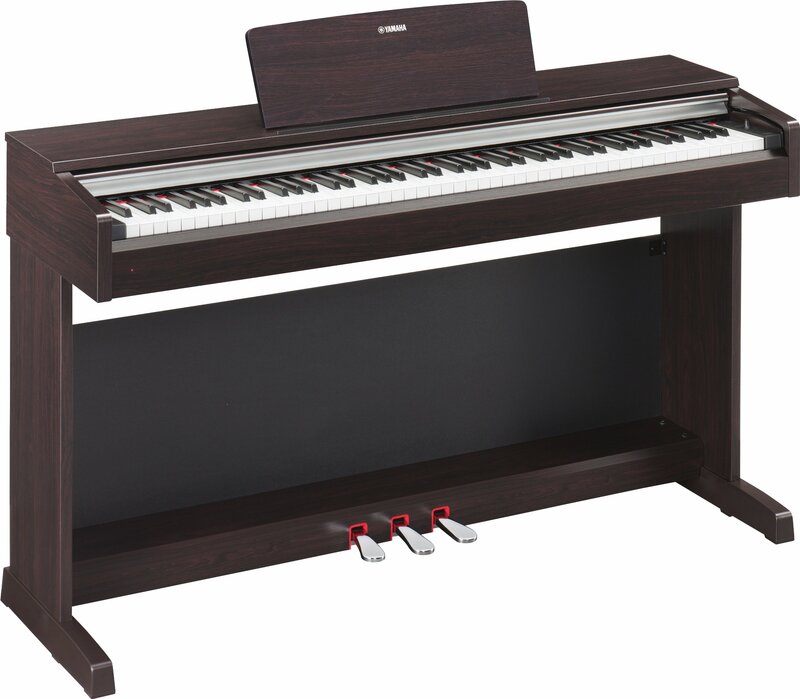 This piano with the highest quality sound bear the closest resemblance to a wooden piano, which gives a bright and captivating melody when your fingers touch the great ebony keys. The sound on the Casio PX 860 is quite strange and seems to have much in common with the overall sound quality that was seen in the Casio PX-5S. Casio's developers have sat down and decided to do something which deserve the title of. For those who want to feel like they are enjoying a genuine piano playing experience, this unique quality is so tempting. Eighteen high-quality sounds, various digital effects, 60 songs in the music library, etc. are useful for players to create vibrant and best tunes that will appeal to the listener. Another remarkable audio feature is the Hall Simulation feature. This feature allows players to simulate the sound inside a concert hall or a stadium or a church. 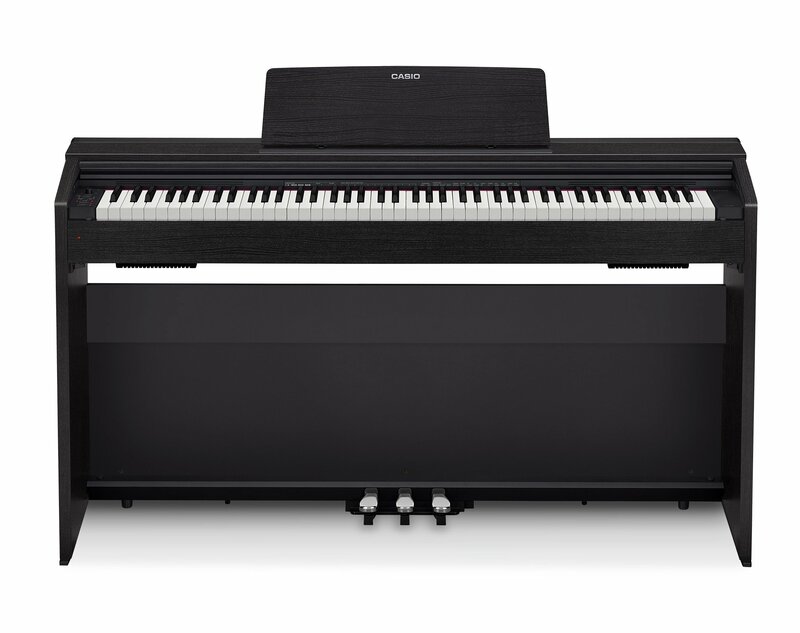 While many other digital pianos can only produce a slight echo effect when trying to simulate a similar setup, the PX 860 is one of the first electric pianos to create a genuinely cinematic effect. That indicates the PX 860 sounds more impressive without special features. If you've played jazz or something not considered classic, you can surely get the full feel of these music kinds created from this instrument. Naturally, no digital piano can reproduce the sound effects of a perfect keyboard to every detail except the PX 860. Besides, the PX 860's volume is also significant, so there's no need to buy more speakers to make it louder. This piano comes with four loudspeakers, so you can turn up the volume when playing. Fortunately, Casio does not allow sound levels that can cause significant damage to the overall sound. This model still has excellent sound effects even when you are playing at extraordinarily high volume. In addition, Casio improves the sound quality on the PX line considerably, as most people play the instrumental on this instrument that has the best sound quality. With the multi-dimensional Morphing AiR sound, technology creates correct sounds. Simultaneously with this technology, besides the piano sound, it can also emit the sound of other instruments. The sound of the piano when played through the speakers is also surprisingly amazing. You do not need to use headphones but still hear the subtle tone. Also, you can change the volume of the speakers to your liking, a feature that other piano lines do not offer. The design of this model is very similar to the PX-850, as it is considered the best of both versions. Casio liked their digital keyboards, which were deemed to be modern but still have a classic feel, and this was found with the PX 860. Keyboard systems are the most used part, so when playing for long periods, the player is prone to sweating. Given that inconvenience, Casio has simulated two materials, ivory, and natural ebony, to produce the keyboard to handle the trouble. The keyboard works on the Tri-sensor Scaled Hammer Action Keyboard II system, depending on your keystrokes that the sound comes out loud or small. 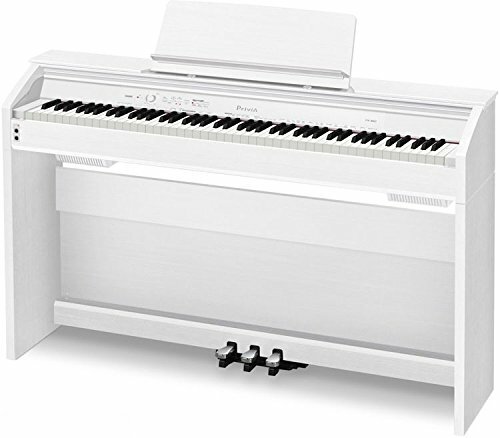 The piano is nice and slim and has various buttons to adjust, making it the top model of the electric piano. The pedal is polished, and the details in the body create the look of an old piano. It is a remarkable achievement, especially when you consider the amount of technology applied to the latest digital piano models. The accessibility of this model will undoubtedly have more to do in the future. This new model allows you to record your performances on a USB or hard disk remotely. It means that if you have done a demo that you think is great, then you are able to keep it and share it with family and friends. It also has ports that allow you to connect your iPad or other mobile devices. These features make the PX 860 quite impressive, and extra features can be beneficial in the field of education. The ability to record performances and interact with the digital piano via a mobile device means allows music learners to absorb musical knowledge much more easily. 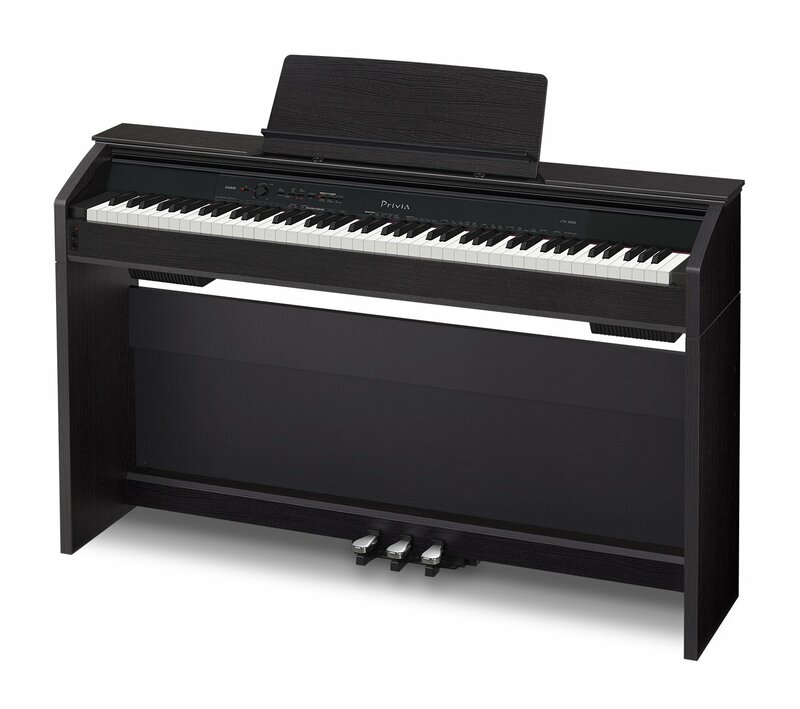 Remarkably, the modern design, elegance is also a plus for the PX 860 electric piano. This instrument is suitable for all spaces from home to cafes, tea rooms as well as the small and medium stage. The exterior of the product is only about 35.5 kg so you can move it to desired places and it is suitable for families or areas with modest space. This model comes with the lid of the piano key. You have an electric piano that sounds like a grand piano, and also a grand piano keyboard. The ebony and ivory keys offer a great feeling when you play. The only thing that does not bring the classic air of the keyboard is the dashboard above the keys, but you can enjoy a little more freedom when creating the sound with it. Let’s be honest. The PX 860 has a downside of music library. It comes with ten classic songs that have been recorded live, so playing with them can be a pretty enjoyable experience. If you do not know how to read music, you will probably have trouble keeping up with the songs, though you can slow them down a bit through the playback settings. The main problem is the number of recordings. Only ten copies are stored, yet you can use the applications on your mobile device or computer software to find more music. When you are using the keyboard, you can change a lot to make playing the piano more enjoyable. You can improve the sensitivity of the keys to then fit the playing style and speed. Not only that, but you can also enable the Duet feature that allows you to play with another person. It is especially useful if you are learning the piano and you want more support from a teacher. Playing the Casio PX 860 gives you an enjoyable experience that immerses you in the pleasures of sitting down and performing great music, even if it's a showcase at a corner in your house. And the Casio PX 860 price is reasonable for a quality product. And if you want to experience the piano without having to pay a lot, the Casio PX 860 is suitable for your needs. 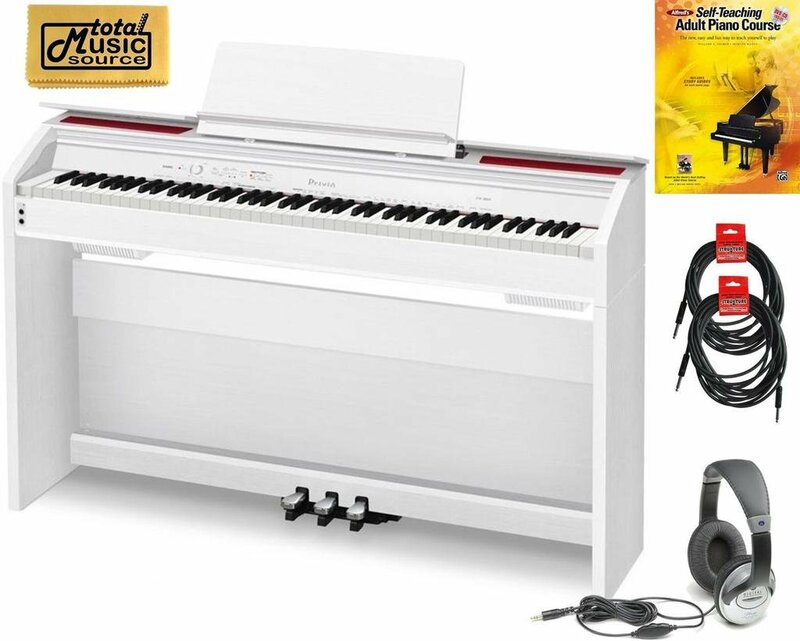 Let own the product right now if you are looking for a perfect piano for learning purposes or for a lively party at home, studio or church. Now go out there and find the Casio PX 860 at an instrument shop or access online shopping websites for your purchase. But wait – there’s more for your best review of Casio PX 860. We want to give you the total picture of this model among the similar ones on the market. The YDP-163 uses a Pure CF audio engine to control the sound on the keyboard, giving it a brighter sound, while the PX 860 favors deep and smooth sound. 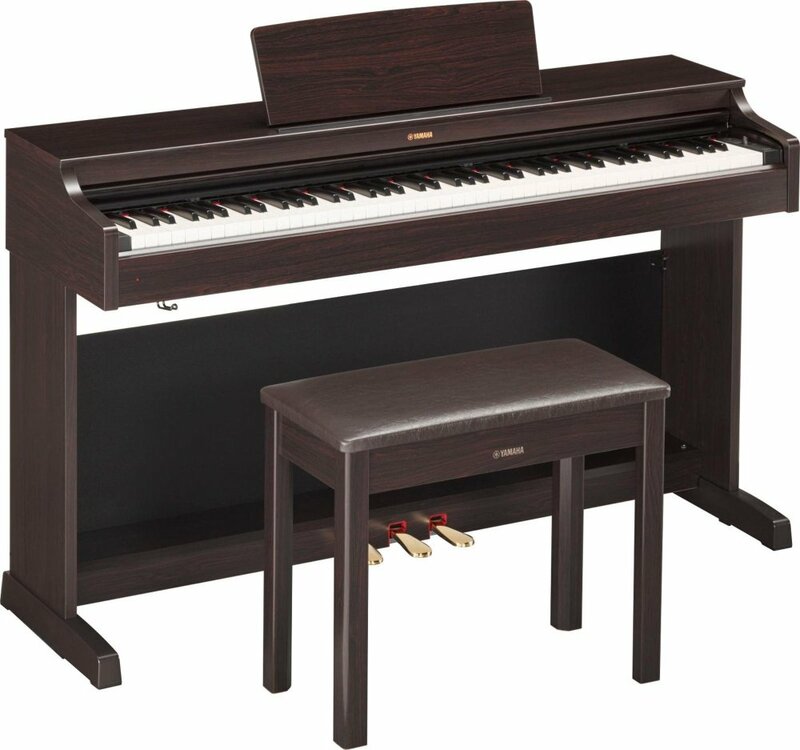 The Yamaha Piano series tends to be more classic in design compared to Casio's modern style with some models containing Ivory and Ebony keys. In terms of the lightweight press keys, the design of the Yamaha lighter, while Casio gives you easy control of the functions. Therefore, the Casio PX 860 and Yamaha YDP 163 are no exception. The action keyboard in Casio PX 860 is much better than the soft keys of the Yamaha DGX 660. In addition, the pedals in DGX model are simply on-off while the PX model provides three continuous pedals. The sound of Casio PX 860 has more noise than Yamaha DGX 660 though both have excellent piano sound. DGX-660 has a lot of drumming and accompaniment style, with a mic slot, co while the PX 860 is just the piano with over ten sounds. Considering the Casio PX 860 and Yamaha DGX 660, each piano has its strengths, depending on when you play the guitar at the shop, which sound of instrument you love more. The only thing I want to say is that deciding which to buy usually depends on personal preferences. If two keyboards seem to have the same feel and response, you can decide between them based on their sound or some unique features that you are interested in. With Casio PX 860 and Yamaha DGX 650, the Casio model has the big sound library allowing you to play as other electric pianos and even string ensembles. The former includes more options for customization but it is more burdensome for you to move than the latter. The 128 polyphonic notes of Yamaha DGX 650 can be slightly lower than the 256 available on the Casio PX 860. However, the Yamaha DGX 650 is cheaper than Casio PX 860. By experimenting with these two products, we recognize that the Yamaha YDP 142 is a bit pristine and cleaner than the Casio PX 860. On the other hand, the Casio PX 860 has deeper and smoother tones. 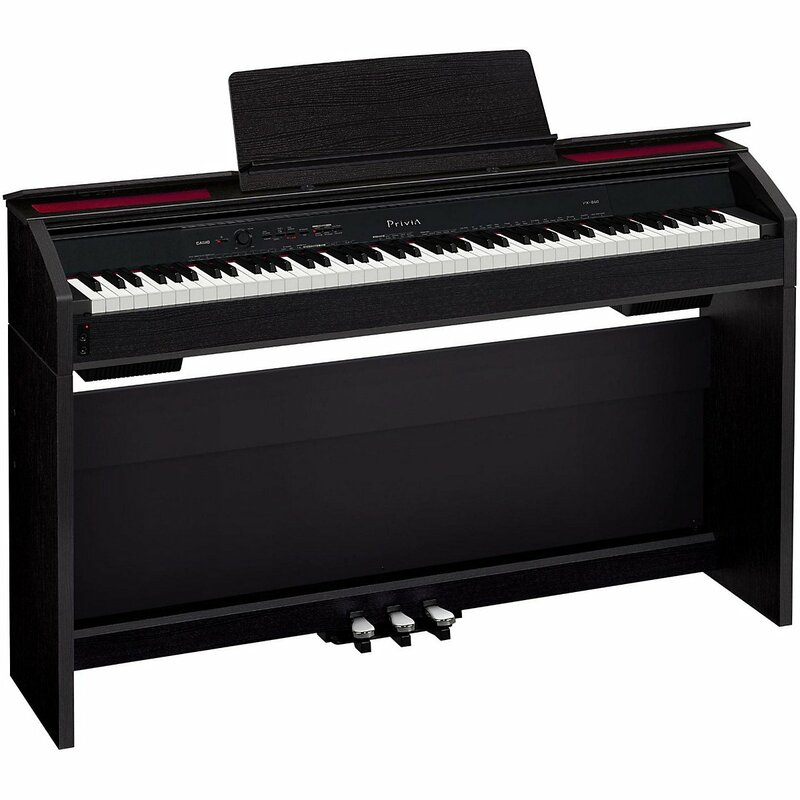 Yamaha YDP 142 has the same design of the acoustic piano while Casio PX 860 has a slim and modern style. But it depends on your own preferences, so you can choose the one you like. About the critical press, the YDP 142 Yamaha has a lighter key than the Casio PX 860. 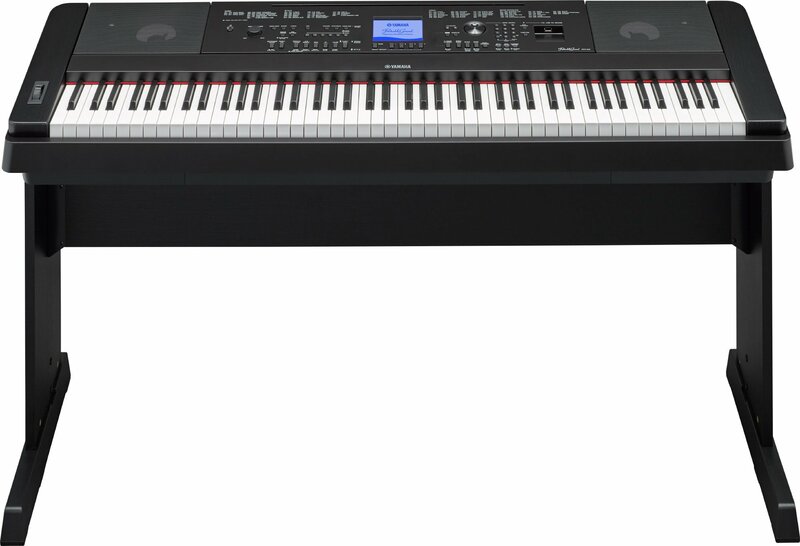 However, the Casio PX 860's control functions are more convenient than the Yamaha model. First of all, you can see some alike features of Casio PX 860 and Casio PX 760 such as their colors in white, black, and walnut, integrated pedals, the holders of music, roll-down covers of keyboard, Tri-sensor Scaled Hammer Action Keyboard II, Multi-Dimensional Morphing Air, Concert-Play function, a recorder with 2 tracks and MIDI abilities. But because the PX 860 is a new and improved version of PX 760, it has more advanced features like 256 polyphonic notes and lid effect simulator that make it more expensive. 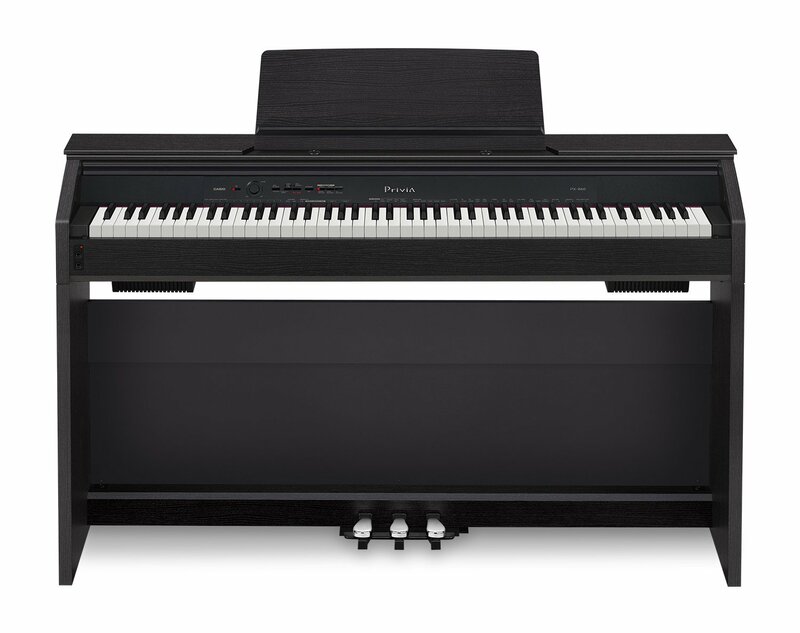 Casio has improved PX-850 by adding all the piano sound and technology from the famous PX-5S piano stage into the PX 860. 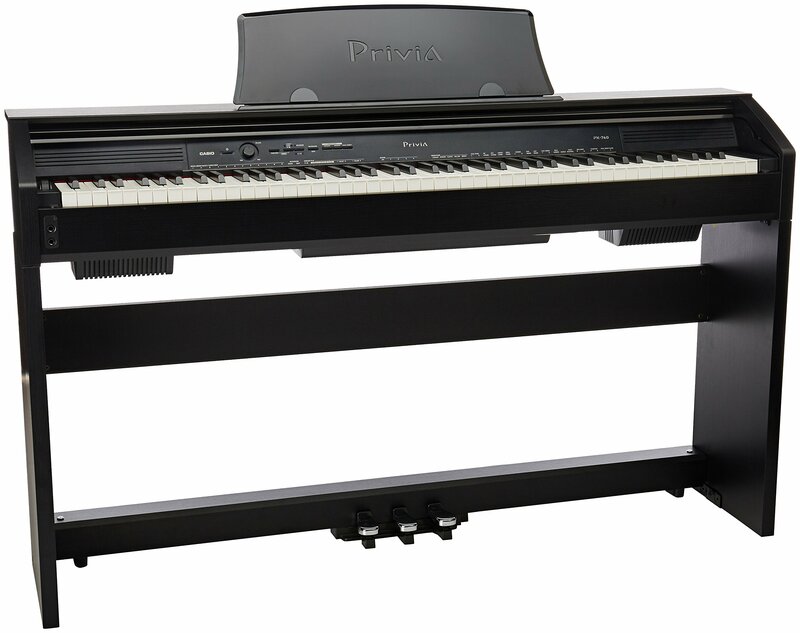 The PX 860 increases the sound quality by enhancing the acoustic piano form of the Casio PX-5S inside the same multifunctional AiR Morphing supporting the PX-850. The piano sound is enriched by Hall Simulation, a technology capable of simulating the space of large concert halls or stadiums. Another reason to consider the PX 860 over the 850 is the Tri-Sensor Scaled Hammer Action Keyboard. As a digital piano, springs are replaced by a three-sensor system that reproduces the mechanical expressions of a real piano. One of the new features of the Casio PX 860 is Ensemble Library with Concert Play, an extended version of the music library that includes ten of the most famous classical music recorded by a real orchestra of musicians. The piano sound of the Casio PX 870 is better than the PX 860 because the piano sound chip is upgraded to sound more natural as a real piano. The notes on the PX 870 combine more harmony to create smoother and balanced sound on all 88 keys that are not available on the PX 860. The speaker system was changed on the PX 870 to disperse a portion of the guitar's sound in the upward direction and go out through the long speaker cover. The PX 870's keyboard is more responsive and adding a Volume Sync system allows for better frequency response. Improved listening experience with the new headset mode creates a more realistic listening environment. Now you have to learn all about the Casio PX 860, the last thing I want to say is that you need to hear the sound of this instrument. You may like it the first time you listen and want to pick up to play your own melody. Do not hesitate any longer to buy the Casio PX 860.